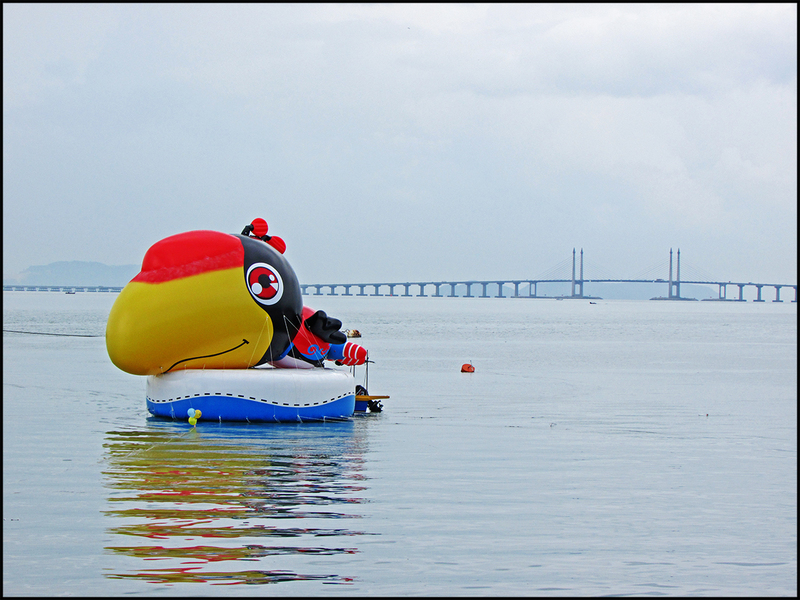 A giant inflatable Ubah Bird floating on the waters off the shore of IJM Promenade at Nautilus Bay. 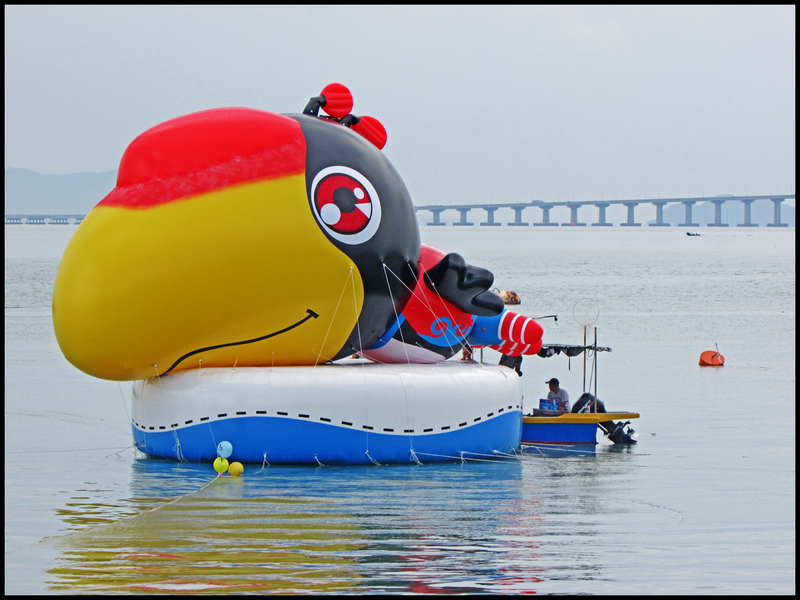 The Ubah Bird (or “bird of change”) was launched by the Penang DAP political party and will be lighted up during the night. The Ubah Bird is a Malaysian hornbill and was used as a mascot by the Pakatan Rakyat political alliance during the 13th General Elections of Malaysia. The floating exhibit was apparently inspired by the giant yellow rubber duck of Dutch artist Florentijn Hofman. Nautilus Bay is a stretch of coast along the Jelutong Expressway. 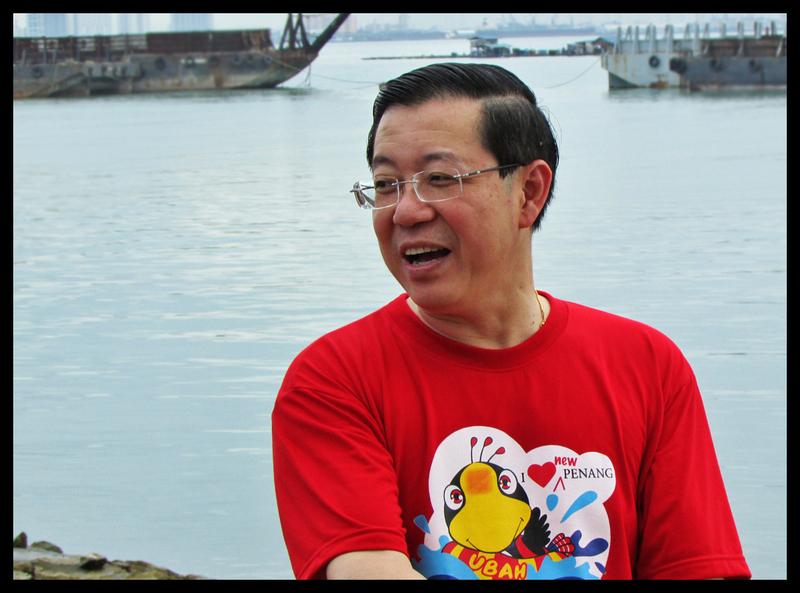 The Penang Chief Minister (and also current Secretary-General of DAP party) LIM Guan Eng during the launching of the Ubah Bird. The Ubah Bird will remain at the IJM Promenade until 31 August 2013 before it is taken to the other states of Malaysia.